The BIG NEWS today is there are two (2) major aspects occurring as Mercury squares Pluto and Venus squares Neptune, but if you have been keeping up with the May 2018 Astro Memes, then you already knew this. 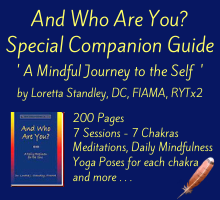 I realize that I have not been writing two weeks ahead on these 'Extended Daily Horoscopes' as I did once upon a time a couple of months back, but if it eases your mind, exactly two weeks from today I will be complete with my YTT (Yoga Teacher Training) which I began in January just five (5) short months ago. I'm super-excited about this because as many of you know, a bored Gemini is a dangerous thing. We cannot be left alone and unsupervised for too long or there will be trouble. We Gemini's are mutable (changeable) signs and we have to have change or we will tip the boat over and everyone will get wet. Guaranteed! Simply writing day-in-and-day-out with my day looking the same every single day had taken its toll and I was no longer enjoying my writing process. Every day was Monday (like Groundhog Day). In other words, every single day of mine looked the same. So we Gemini's like to throw wrenches in the cogwheels of Life and jack around with the system. 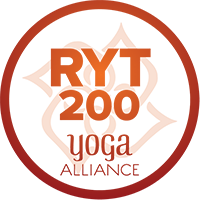 If you tune-in to my Facebook page(s) then you know that I am a yogaholic, often times going to two (2) hot yoga classes a day, and I spend three (3) days a week with a personal trainer. Hey baby, I'm workin' my North Node Virgo! So just to give you the heads-up, I will be catching up on all of my writings (including those in the yearly and generational horoscope) sooner than later. I will also start updating the 'Native American Talking Feather' again since my voice has come back after screaming my guts out at my grandson 'Big Tree's' volleyball games. He has another game tomorrow so I will need to get caught up pretty quickly. I don't miss any of his games so I need to get caught up on the 'talking feathers' today before his game tomorrow. LOL! Oh - I also have some massive Feng Shui changes I need to correct after ignoring the house for the past five (5) months. LIFE! 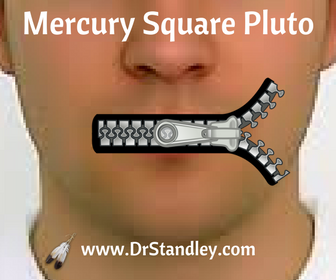 Today's Mercury square Pluto tells us to keep our mouth shut! Every mom in the world probably said, "If you can't say something nice, don't say anything at all!" Easier said than done, right? This aspect promises to get you into trouble if you break the rule of this aspect. 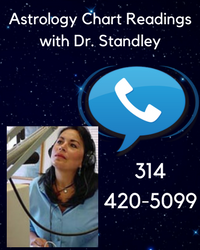 At the top of each Sun Sign landing page you will see this gentle reminder, "Astrology is not Law; God is the Law! Astrology is 'the rules;' and the rules are often broken." Pluto lends power to your words, so make certain you use this power wisely. Notice how I deliberately use the word "lends" in that sentence? Pluto is "lending" its power, not giving you power. Do not abuse this gift or the gift will turn into a nasty result as dictated by the challenge posed to us. Challenging aspects are gifts to challenge us, not jack around with us. What kind of Father would God be to do that to us? It's us who abuse our power, not Him! This is for our own Good to see how we handle it and if we can handle, then maybe we can handle more of something else that requires our Good communication skills. Follow the rules, "If you can't say something nice, don't say anything at all!" 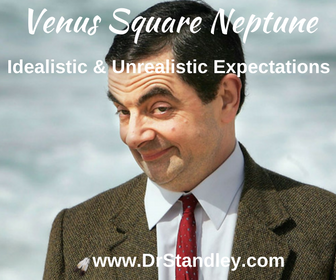 We also experience Venus squares Neptune, which gives us some fairly unrealistic expectations. Make certain you are looking closely at your expectations of yourself or others to see if you are being unrealistic or unreasonable. Venus is a cloud-covered planet and Neptune is the higher-octave of Venus, so you can see this square is not seeing things clearly or for what they are. Keep in mind that Venus rules both Taurus and Libra. Taurus rules personal finances and self-worth, while Libra rules committed relationships, business partnerships, marriage and contractual unions. So taking unrealistic expectations to this subject matter can hurt us if we are not paying attention. This aspect is lofty and super-romantic and is simply not thinking clearly. Look through the cloud cover and turn on your fog lights. There are also two (2) lunar aspects this evening, the first of which supports our relationship with females and the second of which challenges our relationships with males. 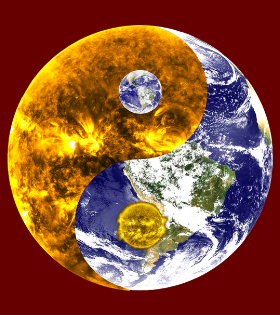 Whether you are a male or female, this will hold True as the Moon first trines Venus (estrogen) and then squares the Sun (testosterone). 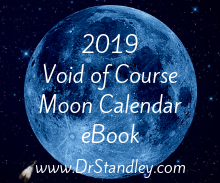 Use the links below to follow-up with the lunar aspect information. Download the 'Mercury Square Pluto' chart wheel here! 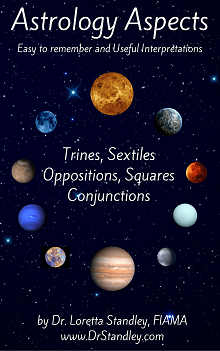 Download the 'Venus Square Neptune' chart wheel here! Mercury in Aries square Pluto in Capricorn at exactly 4:49 AM EDT. This aspect began on May 1st, it is exact today and ends on May 12th. Venus in Gemini square Neptune in Pisces at exactly 5:59 EDT. This aspect began on May 1st, it is exact today and ends on May 13th. 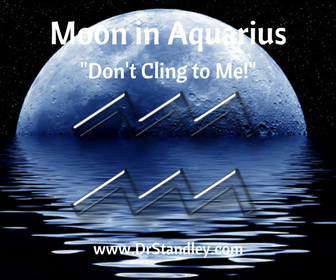 The Moon in Aquarius trine Venus in Gemini at exactly 7:25 PM EDT. You will feel this energy within 12-14 hours 'before and after' it occurs. The Moon in Aquarius square the Sun in Taurus at exactly 10:09 PM EDT. You will feel this energy within 12-14 hours 'before and after' it occurs.